Getting in FRONT of the lens! 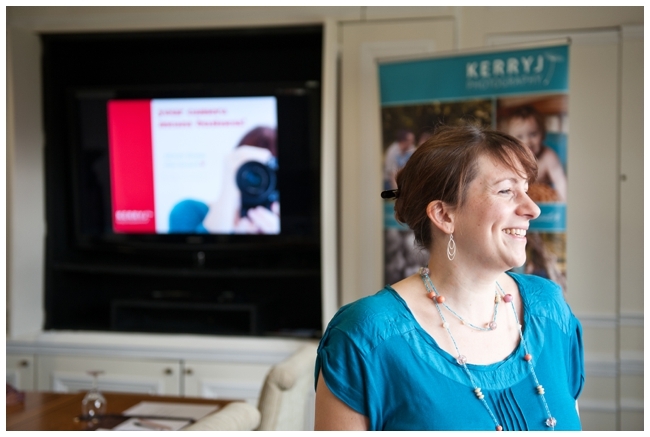 My Business Photography Workshop in pictures. 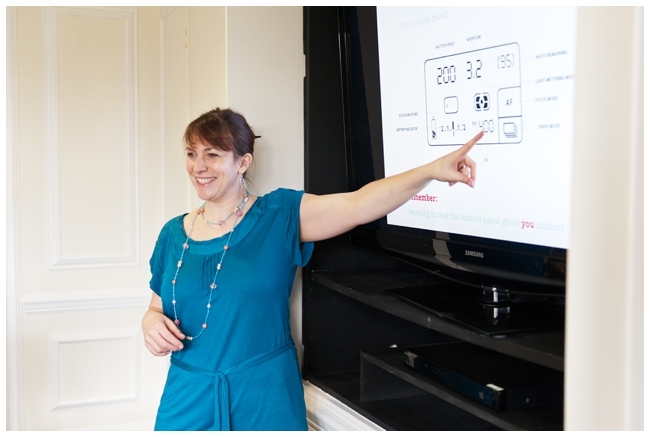 As I entered the stylish room and saw the giant plasma screen where I was going to be presenting my new workshop, I inwardly gulped. 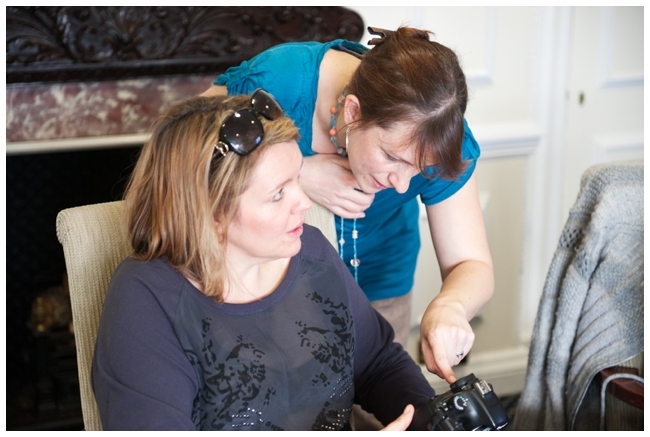 Not only was this a brand-new Business Photography Workshop, but it was a brand-new venue which was extremely elegant. AND I was going to be photographed myself, as a trainer. This was butterflies-in-the-tummy-stuff for me. But as I started laying out sweeties on the table, got out all my goody bags and training booklets and hooked up my iPad to that very giant screen, those butterflies were slowly turning into bubbles of excitement. I knew the visual presentation and content that I had spent countless hours putting together was full of valuable knowledge, simplified into digestible information written in everyday language. And the one thing I was absolutely sure of was my passion for the subject: teaching creative photography. 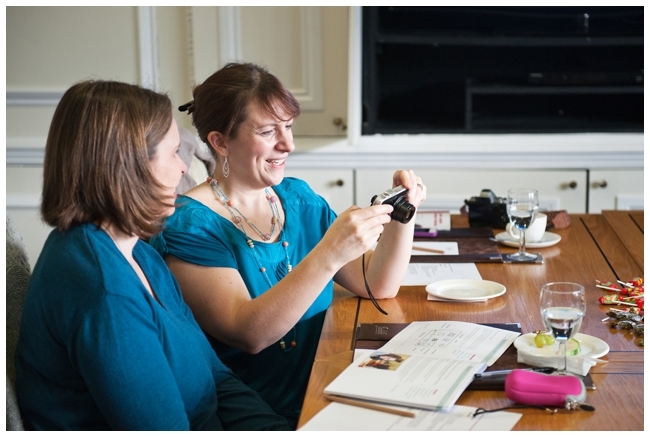 Having taught lots of ‘Photography for Parents’ Workshops in 2013, it was fantastic to be launching my first workshop aimed at small businesses: ‘Your Camera Means Business’. And I knew I had absolutely chosen the right venue to deliver this – the gorgeous Foxhills Manor House. It was an amazing group of dynamic ladies that attended this first workshop – they all came from totally different businesses, and all wanted to be able to photograph completely different things. 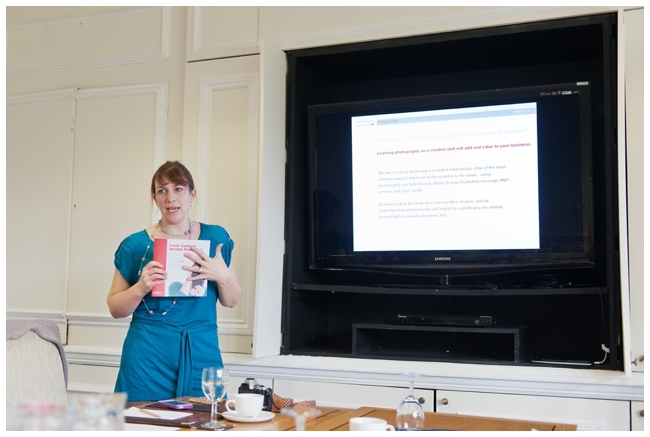 The fact that I keep my workshops to a very small size means that I can not only give 1:1 hands-on tuition, but I can also tailor-make the information and advice I give out to each business person there. And it’s a jam-packed day: a combination of visual learning, actual practice and discussion. Hopefully these photos give you a little flavour of it all. I have a second half to show you next week, which is going to be showing off some of my student’s amazing photos they have since taken – I’ve been so impressed! 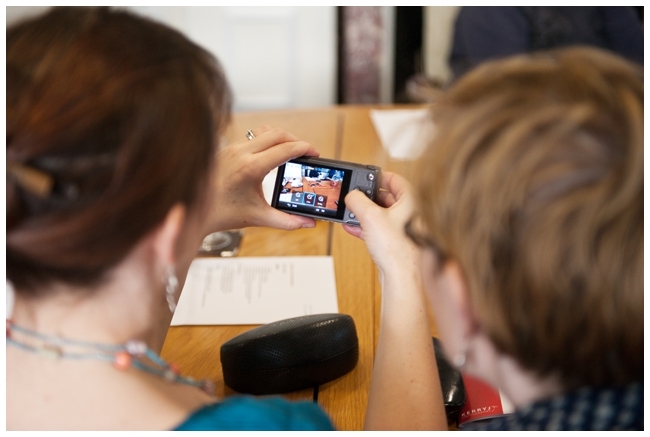 My next ‘Your Camera Means Business’ workshop is on Monday May 19th. 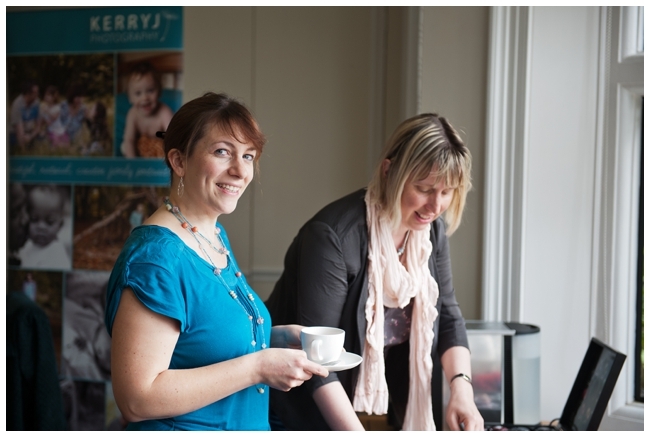 Scroll down to the bottom on this post to find out how to bag yourself a special EarlyBird booking discount! 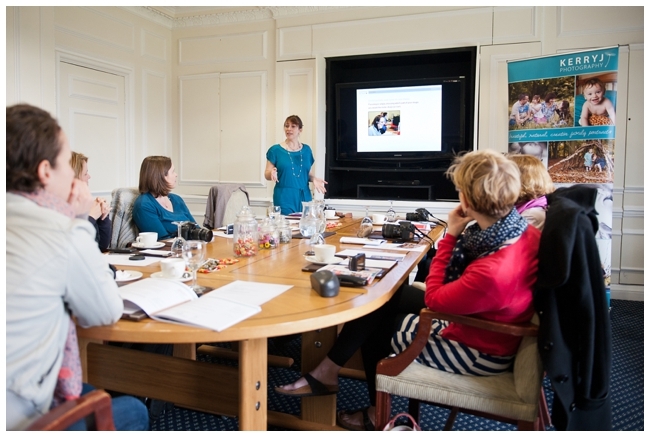 If you’d like to learn a new creative skill that adds real value for your business, the next ‘Your Camera Means Business’ Workshop is on Monday 19th May at Foxhills, in Ottershaw, Surrey. Many thanks to Kate Griffin for the photography.